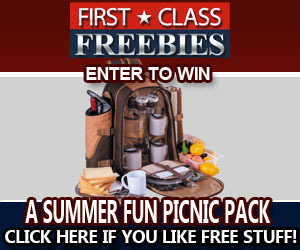 First Class Freebies has started their first giveaway of the new year! This month someone is going to win a new Kindle Fire Bundle! To enter for your chance to win simply click on the picture below and enter in your email address. You'll only need to enter once this month to be in on the giveaway! On January 31st the giveaway will close and someone will be selected February 1st as the winner! Good Luck!! Is this something new to only enter once? I thought it was a daily entry all month for their giveaways. I just entered a few min ago.